But first, the backdrop. Last year, the American Academy of Family Physicians announced "a new corporate partnership program" and its first partner was to be The Coca-Cola Company. Soon thereafter, about 20 doctors resigned from the organization in protest, drawing attention to the matter by Food Politics author Marion Nestle as well as advocacy groups such as the Campaign for a Commercial-Free Childhood. As I blogged about in March, Coca-Cola isn't the only soda company seeking to infiltrate the medical establishment. The Yale School of Medicine has partnered with PepsiCo to allow the soft drink and snack food giant to fund a research lab and fellowship. Where does this end? At what point will we no longer have truly science-driven research institutions and unfettered medical professionals available to help Americans sort through the confusing clutter of health and nutrition information? Or has that time already come? Let's hope not. 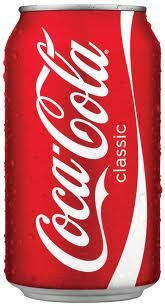 You can send a letter to AAFP asking them to end the Coke deal here. I refused to renew my membership with the AAFP after this happened and told them why (including that they certainly don't need my money when they're getting so much from Coke and that they are willing to give legitimacy to Coke's efforts to paint itself as caring about consumer's health) and they seemed uncomprehending of the deeper issues involved. It is a sad thing when accepting funds and gifts from companies has become so ingrained in today's medical culture that blatant healthwashing like this doesn't arouse a glimmer of ethical concern.